EarthVPN offers a wide variety of server locations, SSTP and SSH (which are harder to block in censored countries) and all this at an affordable price which can be paid with bitcoin. We would like to see the addons integrated in the same price and hopefully some mobile applications to be developed. These features will let them become a sturdier service and go up in our top. Their number of locations is what gives EarthVPN an edge against its competition – having VPN servers in over 80 locations across 32 countries, allowing users to experience good connectivity and low latency. Bandwidth and speed are unlimited. They host a speed test tool on their page so you can see what speed to expect on specific locations. Their VPN protocols offering is another feature that we like: L2TP/IPSEC, PPTP, OpenVPN (both UDP and TCP on many ports), SSTP and SOCKS5/SSH tunneling. They also allow torrent in a few locations. EarthVPN has a simple yet easy to use proprietary VPN client that doesn’t require installation (though it requires OpenVPN GUI to be installed on PC). It runs on any Windows version and allows you to connect via PPTP, L2TP/IPSec and OpenVPN running on many ports UDP or TCP, except for SSH/SOCKS5 tunneling which is possible using a 3rd party software. Users who don’t want to use proprietary VPN clients and prefer the classic OpenVPN GUI, can download the OpenVPN config files from EarthVPN’s website. They also have a pre-configured tunnelblick version for Mac users. Enabling all addons, the service will cost $11.95 / month – a price that is pretty much in-line with their competitions, or even better if you consider the number of features. Payment methods: EarthVPN accepts Paypal, Bitcoin, Alipay, UnionPay and WebMoney. 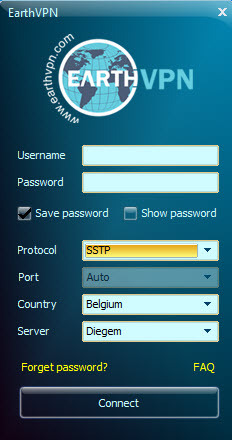 Pre-configured VPN routers like DD-WRT by Tomato are provided through FlashRouters. EarthVPN neither logs VPN usage nor user activity. Neither us nor third parties are technically able to match an IP address to an account. Under no circumstances we will provide any personal or private information to third parties. We are located in the jurisdiction of Northern Cyprus.However in case of law enforcement agencies notify us that our IP is involving in criminal activities ( see terms of service for acceptable use of policy ) we reserve the right to investigate manually to find the cause of criminal activity. As always, we are very skeptical when it comes to statements like “Neither us nor third parties are technically able to match an IP address to an account”. 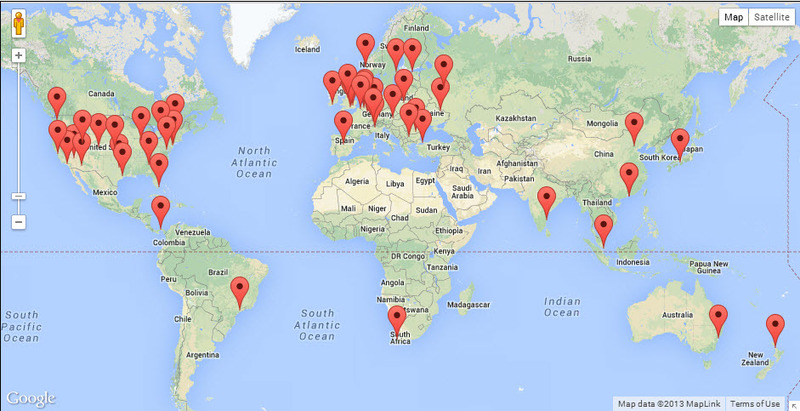 A VPN provider and his hosting provider are ALWAYS able to match an IP address to an account. Period. We found that EarthVPN’s OpenVPN implementation is a debate topic on Reddit on two topics (one, two) and also on Full Disclosure mailing list. Our bet is that the topics were raised by some competitor. However, we do agree to a certain extent that their implementation relying on a certificate issued by a commercial Certificate Authority is bad practice and a VPN provider should use only self-signed certificates. Hopefully they will fix this. 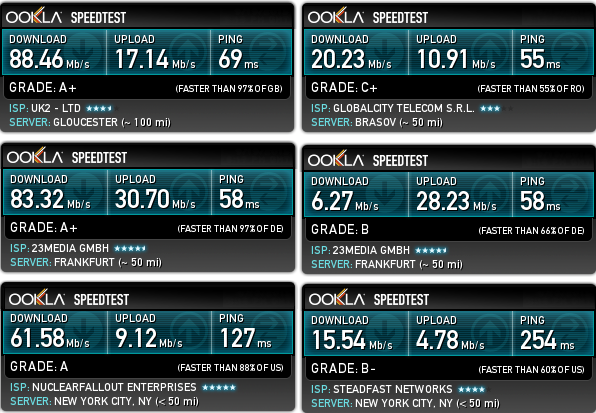 We ran several speed tests on many of their VPN servers and the results are quite good. L2TP/IPSEC and SSTP were faster than OpenVPN, but we can’t really complain about OpenVPN. OpenVPN in Europe: usually around 30 Mbit/sec but we reached over 70 Mbit/sec on some servers. Reliability: we encountered some reliability issues in our tests, like not being able to connect on some servers even though they were replying to ping, or a few servers being offline completely. But overall, the experience while being connected was good. Ticket system only, no live chat or other real-time method. Final Notes: EarthVPN is a provider of choice for people looking for an affordable VPN service with servers everywhere around the world. Download speed was very good in our tests so it was clear that the servers are not overused. We rate EarthVPN at 6/10 against other paid VPN providers. I read the article. Good to know. Fortunately i only use this service to get into China. I have another more secure VPN service but they have no future plans to create a server in mainland China. And because my main use is to get into China the price was right. dont buy from them they are scan and cheater never reply to your support ticket if you buy via bitcoin.